See. Swirl. Smell. Sip and explore the floral and herbal notes in our wines. 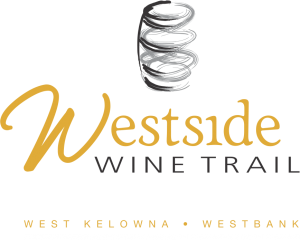 The Westside Wine Trail is having a wine and garden party event on May 12th from noon – 5pm. 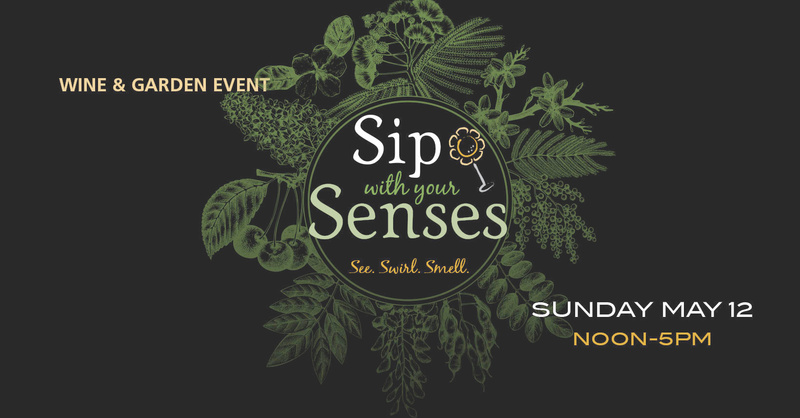 Visitors will be able to enjoy complimentary tastings of the featured wine at each winery and in celebration of our garden party theme, the wineries will be giving away seeds to help you get a head start on your summer gardens. There will be a different seed at each winery, ranging from floral and herb to vegetable seeds. So bring out your garden dresses and floral shirts and spend a leisurely afternoon along our wine trail. Linger in the picnic areas or patios where wine by the glass is available to purchase or discover the flavours of the Okanagan at one of our winery restaurants. Please note that tasting fees apply for full tastings. Featured wine and seeds are complimentary. Stop by for a sip and learn some gardening tips. Proprietor Louise Lubchynski will be doing a talk and display at 3 pm on how to choose flowers and plant in large planters. Also learn about small space organic gardening in grape bins. Enjoy a complimentary tasting of their White Pinot Noir which pairs wonderfully with risotto, creamy past or reduction glazed scallops. Combining some of the best wine types, the Meritage features Grizzli’s favourite reds, including Merlot, Cabernet Franc, Cabernet Sauvignon, Malbec, and Petit Verdot. The wines are blended together, creating perfect harmony as a whole, the same way you’ll be able to create harmonious summer garden with the calendula seeds that you’ll receive when you visit Grizzli Winery on May 12th. At Indigenous World our 2017 Gewurztraminer will be paired with locally foraged greens and lightning mushrooms. We will be having a local foraging expert in our tasting room to speak about seasonal foraging and items will be available to purchase. This Rosé is light, easy to drink and pairs well with many foods. It’s very fresh & fruit forward with notes of watermelon candy, strawberry and lemon zest. This wine is the perfect pairing for spring and summer parties with your friends & family. Our 2018 Rosé is made from 100% Zweigelt farmed right here in West Kelowna. You can look forward to a crisp profile expressing ruby red grapefruit, strawberry, spice, and orange zest. On May 12th enjoy a complimentary tasting of our recently released 2018 Rosé and receive a Basil seedling starter kit. This fragrant herb is perfect for completing your fresh patio platters while enjoying a glass (or two) of Mt. Boucherie Estate Rosé with friends. Join us for a complimentary tasting of our charming and fruit forward Gewurztraminer. Enter to win a draw for a wine and Lavender basket, and take home your own Lavender seeds from the Okanagan Lavender Farm. This off-dry Riesling is a vibrant burst of fruit and is sure to brighten up a day, as are the sunflowers that we plant generously around the farm to attract pollinating bees and give the birds something to eat other than our grapes! Enjoy the rapid growth and beautiful heads that will spring up from our estate grown sunflower seeds.